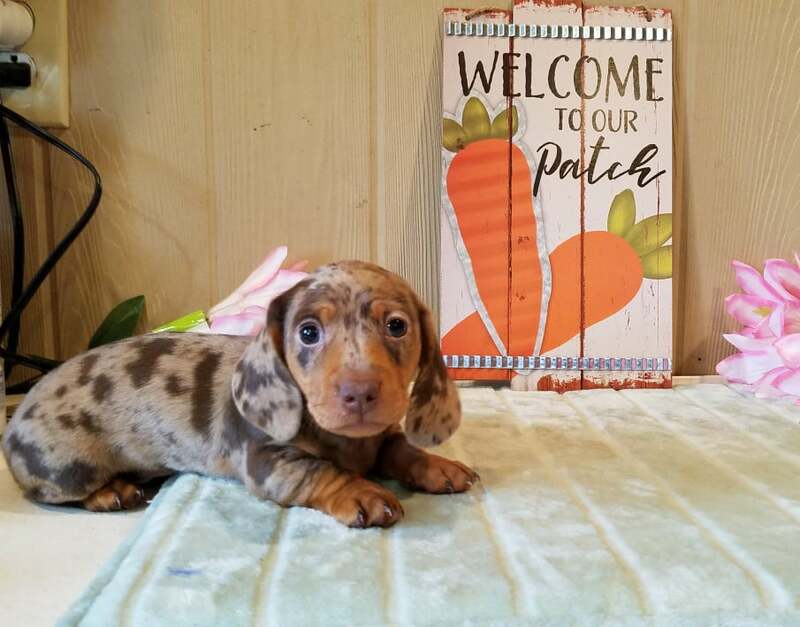 Nutmeg and Louie's Puppies ! Nutmeg and Louie are the proud parents of the puppies posted below. 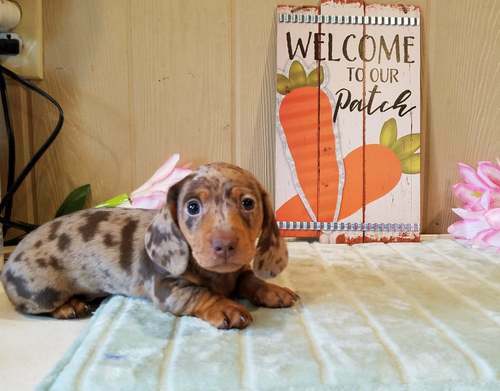 They were born on February 4th and will be ready for their new homes on April 1st. All go home with first shots, dewormings, microchip, ACA registration application and a one year health guarantee. All have new homes. Many thanks to the new owners ! Photos taken 3-24-19. 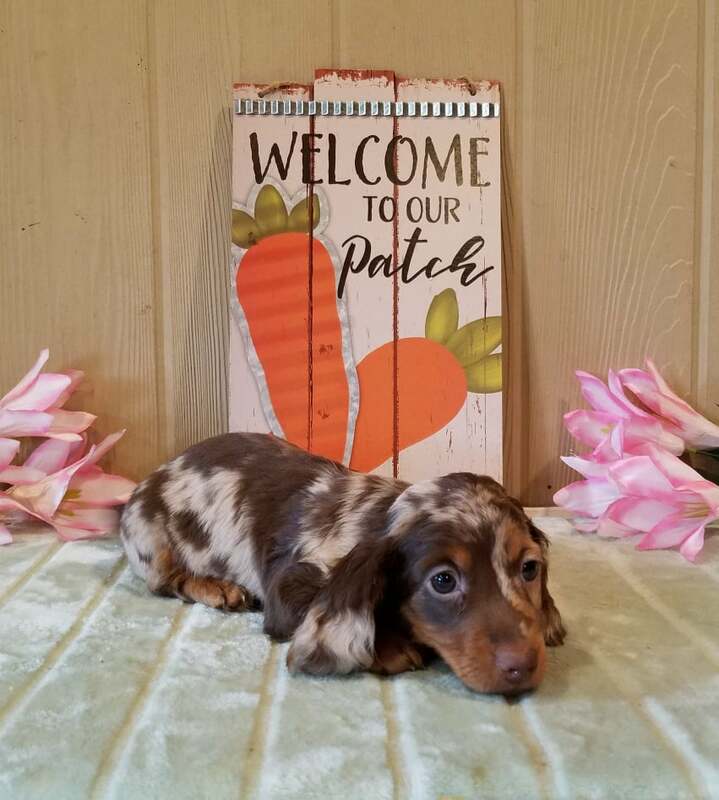 We are almost 7 weeks old ! Chocolate and tan Dapple Female ! SOLD ! I'm going home with Caroline Fay, Cambridge, MA ! My name is Bonzai ! 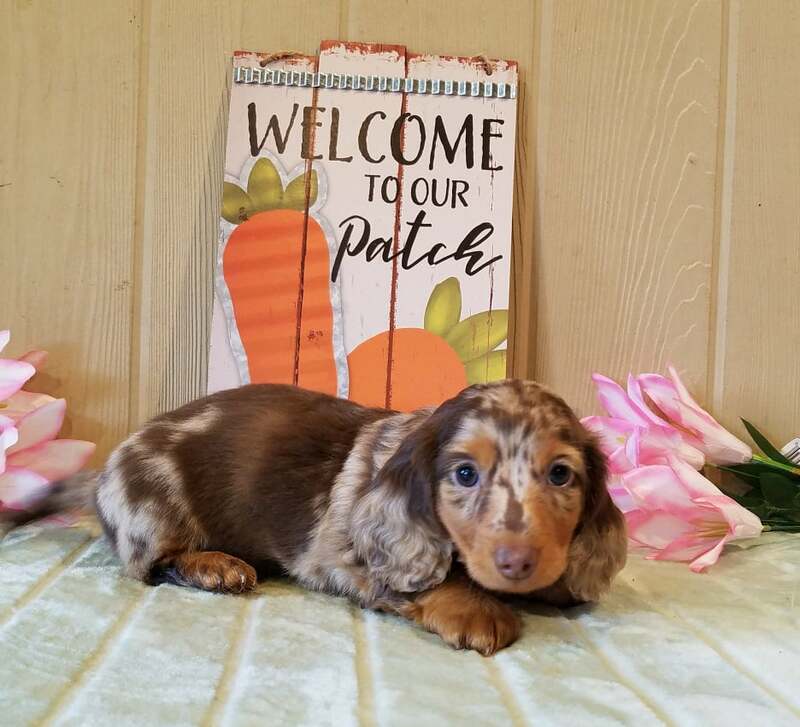 Chocolate and tan Dapple longhair Male #1 ! SOLD ! I'm going home with Arianna Huemmer, Baltimore, MD ! My name is Kobe ! Chocolate and tan Dapple longhair Male #2 ! SOLD ! I'm going home with Lisandra Fernandez, Latham, MA !